Several weeks ago, we explored multiple World War I landmarks in conjunction with the 100th anniversary of the start of the war. Well, guess what? September 1st marks the 75th anniversary of the German invasion of Poland, which is widely recognized as the official start of World War II. Britain and France declared war on Germany two days later. When all was said and done, roughly 75 million people died during WWII: 20 million military and 40 million civilians. There has never been a better time to book one of AESU’s Discount European Vacations and explore various WWII landmarks. The Second World War lasted six years and involved the vast majority of the world’s nations, making it the most widespread war in history. So, as you can probably imagine, there are more famous WWII landmarks than we could possibly cover in a single blog post. In fact, there are more WWII landmarks in Europe than we could possibly cover in a single blog post. So we are going to focus our attention on a few important moments in Paris during WWII. The Battle of France: Also known as the Fall of France, the battle began on 10 May 1940, when German forces invaded France. The battle consisted of two operations: Case Yellow (Fall Gelb), when German armored units pushed through the Ardennes to cut off Allied units in Belgium, and Case Red (Fall Rot), when German armored forces outflanked the Maginot Line and pushed deep into France. German troops reached an undefended France on the 14th of June. France and Germany signed an armistice on 22 June 1940, marking the official beginning of German occupation. The Eiffel Tower: When Paris fell to the Germans, French resistance fighters allegedly cut the elevator cables to the Eiffel Tower in an effort to keep the Nazis from flying their flag atop the French monument. If anyone wanted to do so, they would now have to scale the Tower’s 1,710 stairs. And in August 1944, it is said that a Frenchman did just that. It is rumored that the Frenchman scaled the Tower and hung the French flag as the Allies neared the city just before the Liberation of Paris. 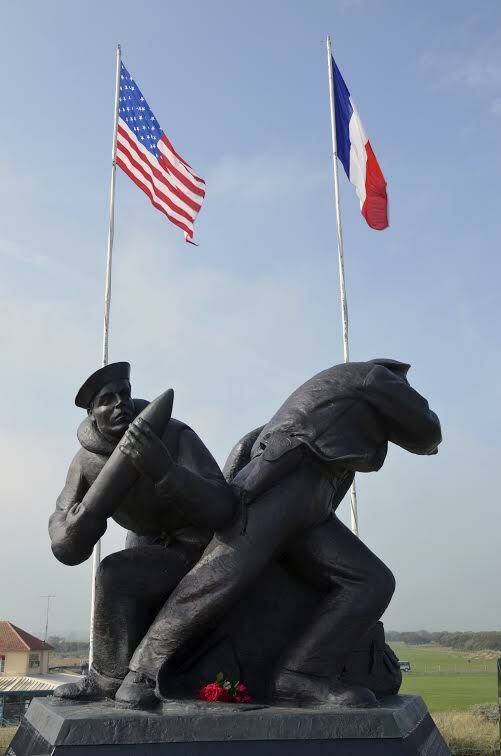 The Liberation of Paris: August 25th recently marked another important anniversary in history: the 70th anniversary of the liberation of Paris by American and French troops in 1944. The French capital had been ruled by Nazi Germany since 22 June 1940. D-Day: Perhaps the most famous battle in WWII history, Operation Overlord, better known as D-Day, began on 6 June 1944, when 156,000 American, British and Canadian forces invaded the beaches of France’s Normandy region. The invasion was one of the largest amphibious military assaults in history and resulted in the Allied liberation of Western Europe from Nazi Germany. D-Day has been called the beginning of the end of war in Europe. Mont St. Michel: An island commune in Normandy, France, Mont St. Michel – one of France’s most recognizable landmarks – has held strategic fortifications since ancient times. During WWII, the island was occupied by Nazi Germany. Today, Mont St. Michel is a UNESCO World Heritage Site, attracting more than three million visitors annually. These are just a few of the many important moments in French history during the Second World War. AESU, the most trusted name in travel, offers unique, exciting travel programs for college students and young professionals at affordable rates. Each trip is action-packed and informal—designed just for people your own age. We are also able to design custom tours just for your group. All you need is a group of 15 or more and we’ll be more than happy to customize a tour to your specifications and interests, like maybe WWII. Contact AESU today to get started! This entry was posted on Thursday, August 28th, 2014	at 12:13 pm	. You can follow any responses to this entry through the RSS 2.0	feed. Both comments and pings are currently closed.